What Services Do You Pay for with Wedding Limo Rental Prices? Your wedding day will be one of the most important days of your life, so you will want it to be absolutely perfect. One expense you definitely do not want to overlook is the transportation, not only for you and your significant other, but for your guests as well. Wedding limo rental prices in Toronto vary depending on a number of factors. It’s important to know exactly what you are going to pay for and what the price includes. The typical wedding limo timeline is for approximately three to four hours, at a price ranging from $250 to $600. This allows time to provide transportation to the entire party from where they will be getting ready (hotel or salon) to the location of the ceremony, and then to the reception when the ceremony is over. Some packages also include transportation to the hotel for the bride and groom. Keep in mind that some wedding limo services are available for more than four hours and some for less – it all depends on the aforementioned factors. As for the type of limo, the four-seater vintage car is typically the least expensive, and the large buses cost the most. The buses can cost up to two times more than the smaller limos, depending on the company and pricing system. Renting a large party bus may still be less costly than having to call a cab for each and every guest – especially if you have a lot of them. When booking your wedding limo(s), it’s always better to go with something with more space than you think you will need. For instance, the bride may require two seats, depending on the size of her dress. If you have eight people in a party, go with a ten passenger stretch limo. If you have between ten and twenty people in your party, go with a large hummer limo. For more than twenty people, a bus will be the best choice. When asking a limo rental company about rates, ask if they are offering an hourly pricing system or package pricing. Have them go over in detail everything that is included in the pricing and schedule, including the time they will arrive to pick everyone up, the place they will pick everyone up at, stops along the way, and whether or not the pricing includes a ride back to the hotel and airport for any guests who may be flying out afterwards. You should also inquire as to what kind of amenities and services are included in wedding limo rental prices. Ideally, you should rent your limos from a reliable Toronto company such as Majestic Limo Services. What is a Wedding Party Bus Limo and Why Should You Consider One? What Are Some Wedding Limo Tips in Toronto? 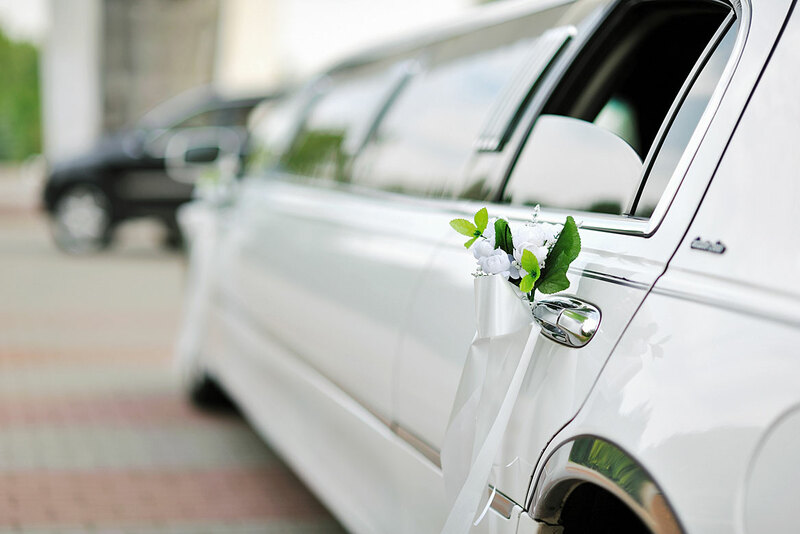 What Wedding Limousine Amenities & Services are Available? How Do You Book a Wedding Limo Online? What do Wedding Limo Packages Offer? Wedding Limo Types of Cars – What Are the Choices? We provide an opportunity to turn the mundane into the extraordinary. We can arrange transportation in the downtown core of beautiful Toronto as well as the surrounding GTA and offer assurances that whatever the evening may have in store for you, you will be traveling in style.